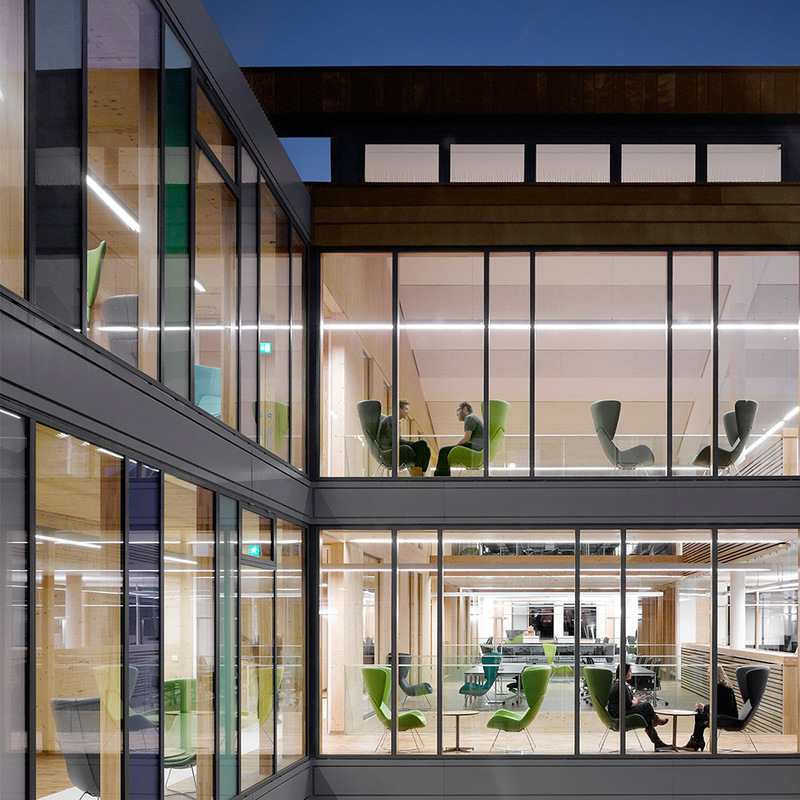 THE NEW KEYNSHAM CIVIC CENTRE &AMP; ONE STOP SHOP HAS COMPLETELY TRANSFORMED THE TOWN CENTRE IN A WAY THAT EXCEEDS THE EXPECTATIONS OF A CORPORATE OFFICE DEVELOPMENT. 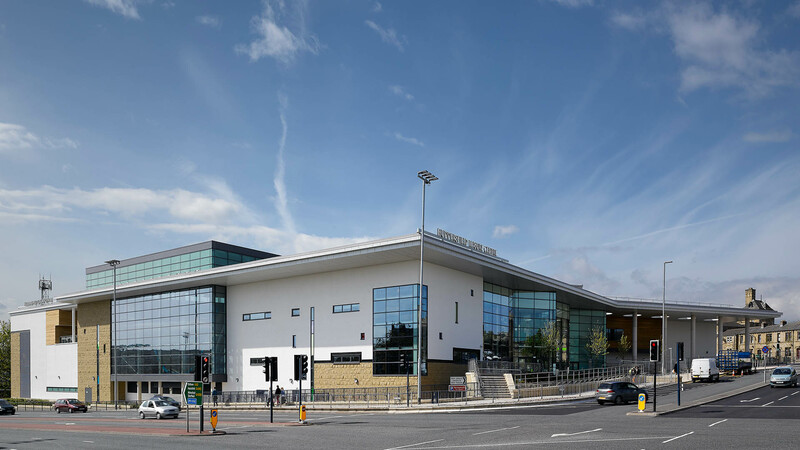 The redevelopment replaces outdated 1960s buildings, bringing new jobs and investment to the town centre with a new 68000 ft2 Council office, Library and One-Stop-Shop, 20,000 ft2 retail located around two new pedestrian streets, a market square, new car parking and highways improvements. Our challenge was to accommodate 9500 m2 space within a town centre on a constrained site and across a 9m slope which gives back to the town through the creation of new public space and amenities. 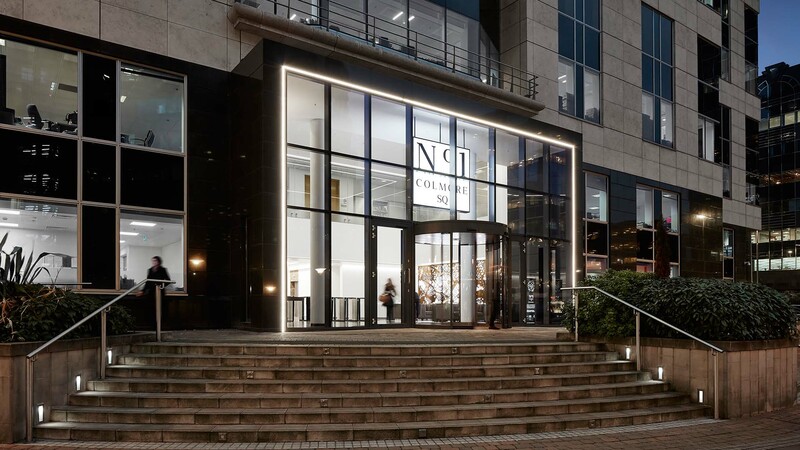 Rather than filling the site with a large low rise building with One Stop Shop on the ground floor and offices above we sliced through the site with two new pedestrian streets and made the buildings taller. This gave over 50% of the site over to 24 hour accessible public space. 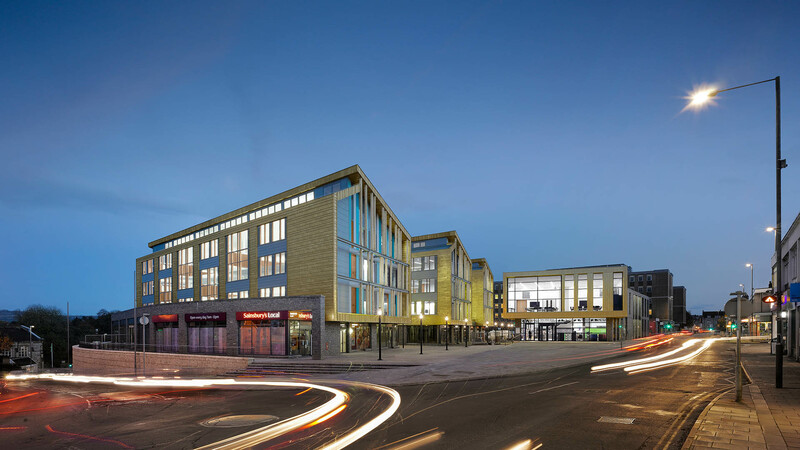 In addition to providing the Council with high quality offices and civic facilities the scheme features 20000 sq ft of retail on ground floor located around a new pedestrian public realm which will reinvigorate Keynsham town centre. 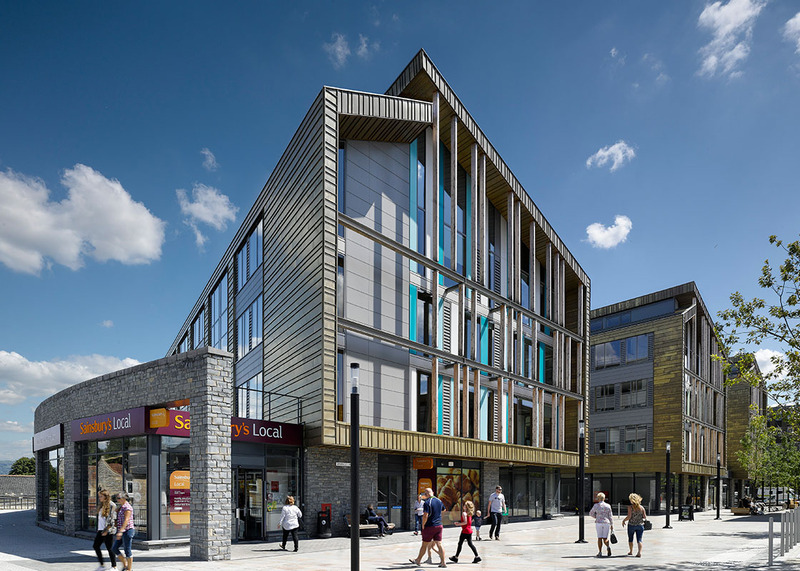 We responded to the challenge of the constrained and sloping town centre site by slicing through it to create two new pedestrian retail streets and a cluster of inter-locking buildings. This allowed over 50% of the site to be given over to new retail focused public realm and better integrated the development into the existing urban grain. The old 1960s development had a public space which was north facing and split across multiple levels making events and markets difficult to hold. The outdated shops were outward facing with an unused rear car park. Our design made everything permeable and maximised building frontages on this tight site. We also rotated the public square so that if faces west into the afternoon sun and better addresses the high street. The public square includes pop up power supplies and hosts regular farmers markets and other events. Since this development commenced it has attracted major retail providers including Sainsburys and Loungers. The ‘Bonzo Lounge’ café bar has been one of the biggest private enterprise successes – occupying a large space with an outdoor terrace with views over the park it provides a social hub to the project. The retail space in the development was 70% let within the first year. 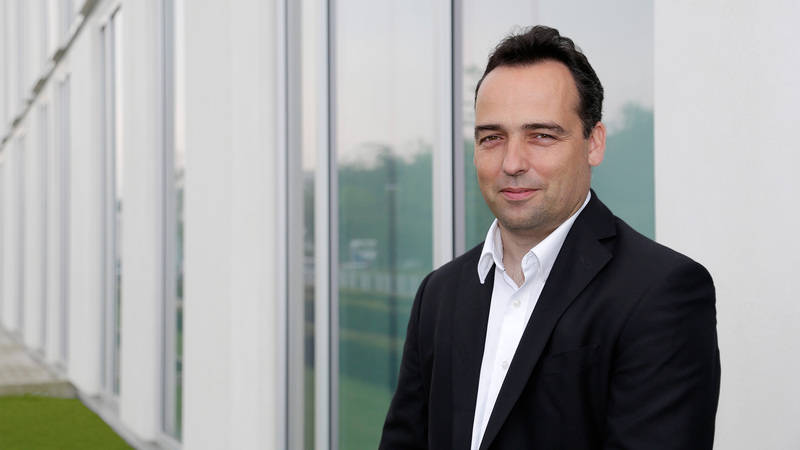 The project is the first in the country to target a Display Energy Certificate (DEC) A rating from the outset when supported by the Soft Landings process. 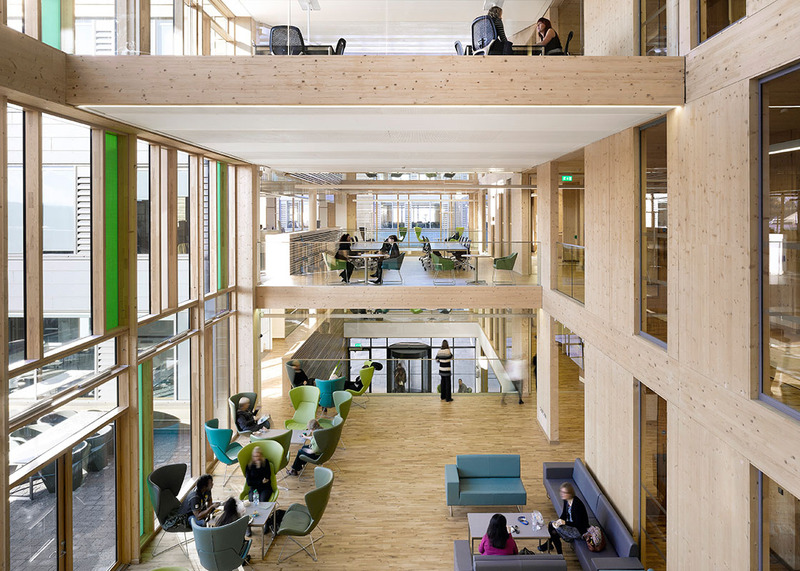 The offices have already achieved an outstanding EPC rating of 5 (equivalent to 2.85kgCO2/m2) – almost zero carbon and putting us well on course for our DEC A target. 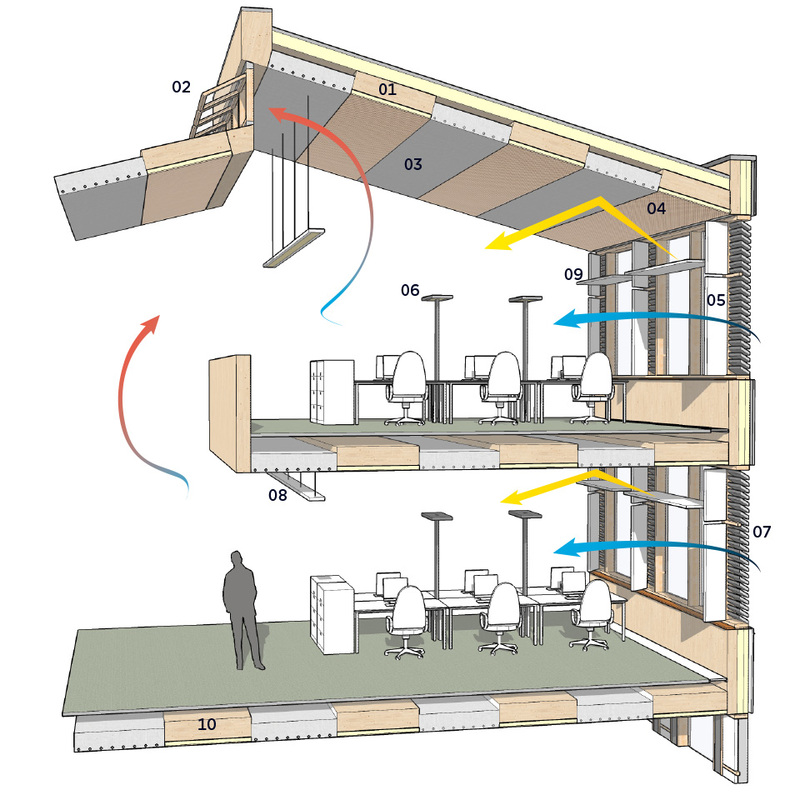 To ensure the operational energy use is as close as possible to the design intent, we have followed the principles set out in the Soft Landings Framework. We developed an Energy Risk Register and a contractually binding energy budget. 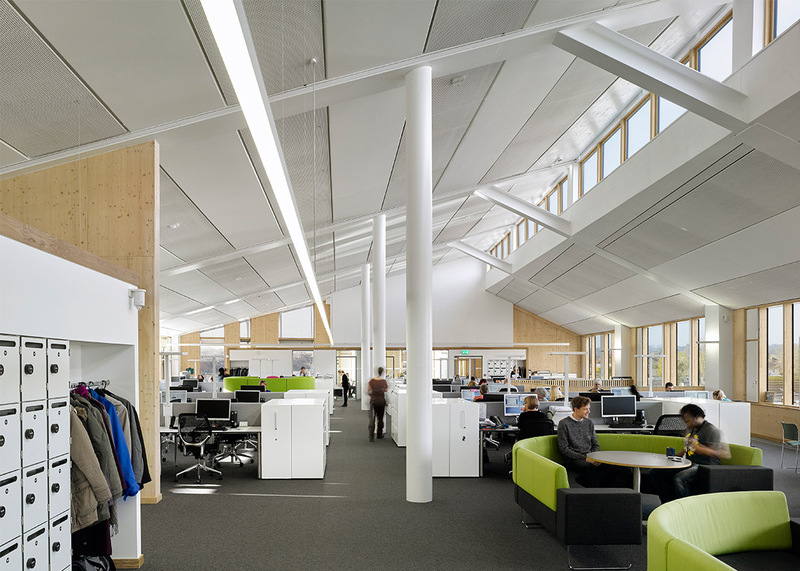 The contractor will stay engaged with the project for a two year aftercare period to optimise the energy performance.